I found this 1950's sun dress on Etsy, from the same seller who I bought the striped sailor dress from. 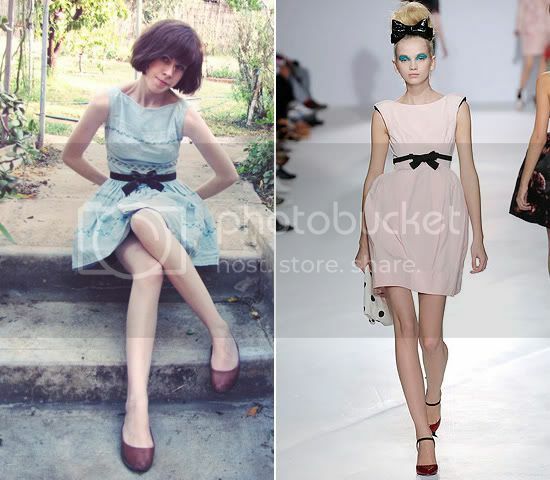 I decided to wear it with a bow belt around the waist, a little like the Luella S/S 2010 style dresses. Oh and say hello to my Luella bag again! I know it must seem I'm practically attached at the hip to it, I have to try harder not to neglect my other poor bags. And fingers crossed this is the last of the stinking hot weather! HANDS DOWN favourite outfit post from you, Sushi. Perfect. hey, there's nothing wrong with being obsessed with a particular bag/shoe/whatever! wear it with pride, that's what it's for! oh also, I hope you don't mind me asking, but where'd you find that petticoat in one of your earlier posts? I need one for a costume but am having trouble knowing which ones are good. you are so pretty! !I like your dress!We need sunshine in Paris to wear dresses!You are lucky! 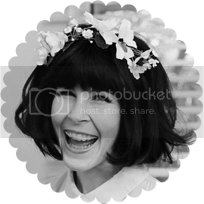 really cool and full of spring post!!!!!!! Wow that dress is amazing. Could you tell me which etsy seller it is so I could take a peek? 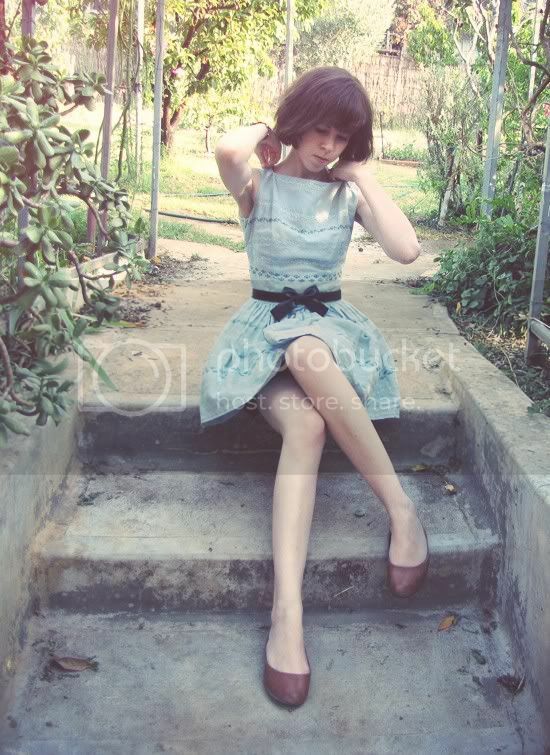 LOVELY DRESS IN BLUE,IS JUST EXACTILY THE SAME STYLE YOU HAVE DONE FROM LUELLA. IN 4 PHOTO,IT´S MI IMAGINE ,OR THOSE ARE GRAPEVINES? LOVE WINE´S WORLD.DO YOU LIVE THERE? it's a lovely dress and suit for spring or summer! i love this blue! I think because of the shade of the blue the dress is it give it a sort of Alice in Wonderland kind of vibe to it! Especially since you're in a garden! :) Its a really pretty dress! And I love your bag too! So pretty. Love the powdery blue color! I absolutely adore that bag! This is so sweet. I love the high neckline with the shorter length. It's a cute balance. This outfit is seriously ADORABLE - Luella inspired or not. in my opinion yours is even better! you look so good :) Elegant as usual! love ur dress, you look so cutee with it! love your fashion style dear! totally adorable! it's just perfect with the bow belt. i love your style! It's epic! I'm in love with this dress! So adorable! Perfection, and that bag omg! Soo pretty. The bow just makes it more perfect! Saw the feature on this month's MyLookbook. Congrats! This dress is very attractive but more importantly is this your garden? Is that a fig tree wrapped up to stop its fruit being eaten??? LOVE IT. You are lucky if it's yours. This is SO pretty! The dress and belt look like they were made for each other. Really lovely look. 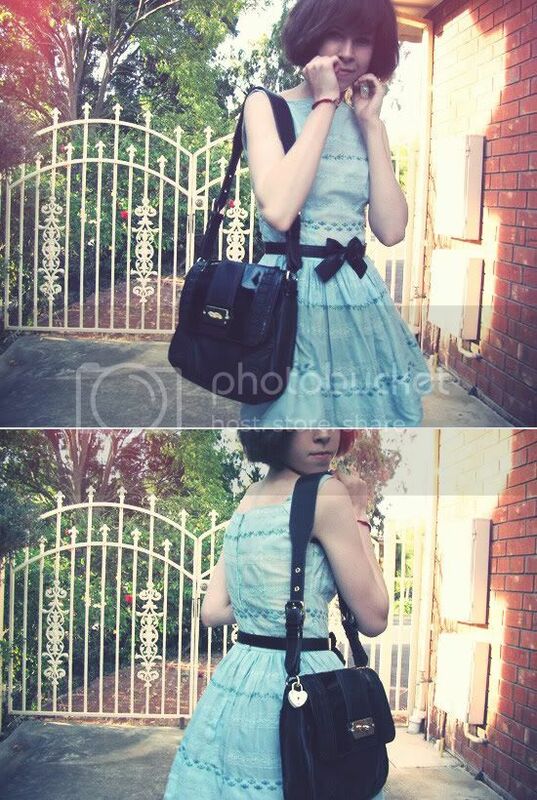 very cute dress, I love your bag! It's so cute and delicate! sooo pretty! love the color. where did you get the belt from on ebay?? I've been looking for a black bow like this (that doesn't look cheap) for agessss.